The old cliché of 'the must win game' for Glasgow. Though not strictly true it would be very hard to imagine us winning away in both Montpellier and Dublin, so you would have to say we need to win this to progress. In that though, nothing much has changed, as this was a game we were always going to have to win and it is undoubtedly winnable, Leinster as a side don't seem to have fired on all cylinders yet either and have also got their injury issues. I would expect a few gentle changes to the side for this weekend. It has been strongly hinted that Hoggy will be back and it would not surprise me to see Sarto playing as well, he was the unlucky one to miss out last time. Niko's mistake may have played him off the bench though. The centre combos did not quite seem right either and Grigg did not have his best day ball in hand, maybe Johnson starts this time at 13. Up front you would imagine Brown is out, so Turner will start and McArthur to bench. Otherwise, baring injuries, I don't see to many changes, maybe Fagerson to bench for a bit of x factor laster on in the game. I was wondering if we'll see Big Brian replace Swinson for extra grunt in the pack - Swinson has played most games this season too so it would freshen things up a bit. If the weather holds up this will be a cracker. There is a lot on the line here! LeinsterFan4life wrote: If the weather holds up this will be a cracker. There is a lot on the line here! There is indeed. How many of your walking wounded are we likely to see back for this one? For a moment I thought Facundo Isa had signed for you! 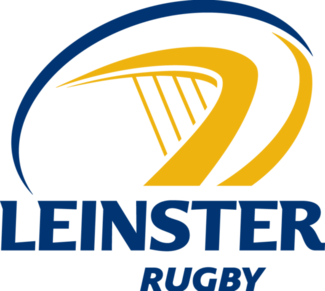 What sort of team are Leinster expected to put out? Is Isa in the starting 15? Hazel Sapling wrote: For a moment I thought Facundo Isa had signed for you! He has been starting at 12 this season and has been very good there but has spent most of this season injured. That pack is scary. The back row in particular. The backs are good but I would back Glasgow to have an advantage there. What happened to the young 12 (Reid?)? Has he not kicked on? Reid is 27. He's just not great. Reid is liability in defense. Leinster have some serious talent right now though, there is a real youthfulness about their team. I’m liking O’Loughlin in midfield more than Reid. Looks like the weather may well have a say in this game, rain and wind forecast all afternoon in Glasgow. Not the conditions Glasgow would have preferred, but it won't make it easy for either side. BigGee wrote: Looks like the weather may well have a say in this game, rain and wind forecast all afternoon in Glasgow. BBC has it dry with light rain starting at 9pm, getting heavier throughout the night. Being Glasgow though anything could happen and it will probably change several times between now and kickoff! To be fair, other than Sexton, Henshaw and perhaps Carbery you couldn't say that the backline was overly deadly, with the wingers not nearly as good as Glasgow's options. Glasgow are going to have a real examination in the set piece though and (as always) that is likely where the game will be won and lost. Fraser Brown out injured as predicted. Unavailable players: Brian Alainu’uese (knee), Bobby Beattie (illness), Fraser Brown (knee), Alex Dunbar (knee), Chris Fusaro (head), Rory Hughes (shoulder), Oli Kebble (foot), Paddy Kelly (ankle), Kiran MacDonald (thigh), Ratu Tagive (achilles), Richie Vernon (achilles), Samuela Vunisa (knee). Looks dry for game time so don't know what all the weather schieze is about This is not Galway you know ! Leinster need another centre back from injury. Reid at 12 is worrying. Himself and Carberry are weak links defensively. Not much fear of the wingers. Mcfadden is better than he is given credit for and Daly is allegedly the quickest player in the country. Interesting to see how Sam Johnston goes at o/s centre. Really good rugby player and vastly underated imho. He'll have his hands full with Henshaw. Our back three is superb, with Lee Jones waiting to come on too. We need 5 points though, and an Exeter win. That would make me happy. That was never a late hit, would have been pissed if Sexton had milked that. does anyone have a link they can mail me? much appreciated! Tramptastic wrote: does anyone have a link they can mail me? much appreciated! Ok the weather is not great but there is an astonishing amount of handling errors in this game. Good signs for Leinster and Ireland that Cian Healy is back to form. Not enough strength up front for Glasgow. Glasgow once again bring ruthlessly targeted in the maul at this level! The usual non late hits from Glasgow. Looks like Leinster have decided to adopt Glasgow’s motto - Whatever It Takes - and respond in kind. A few more handbags in the second half and a card for someone I’m going to guess. Those Sexton wraparounds are soooo predictable. And they have on back. This game ain’t over yet. Impressive try from Glasgow - went through a lot of phases there and gradually worked their way up the pitch. Easy missed tackle from Sexton but excellent commitment to track back, make the tackle and force the knock on. Consistently getting tackled without he ball week in week out takes its toll too.